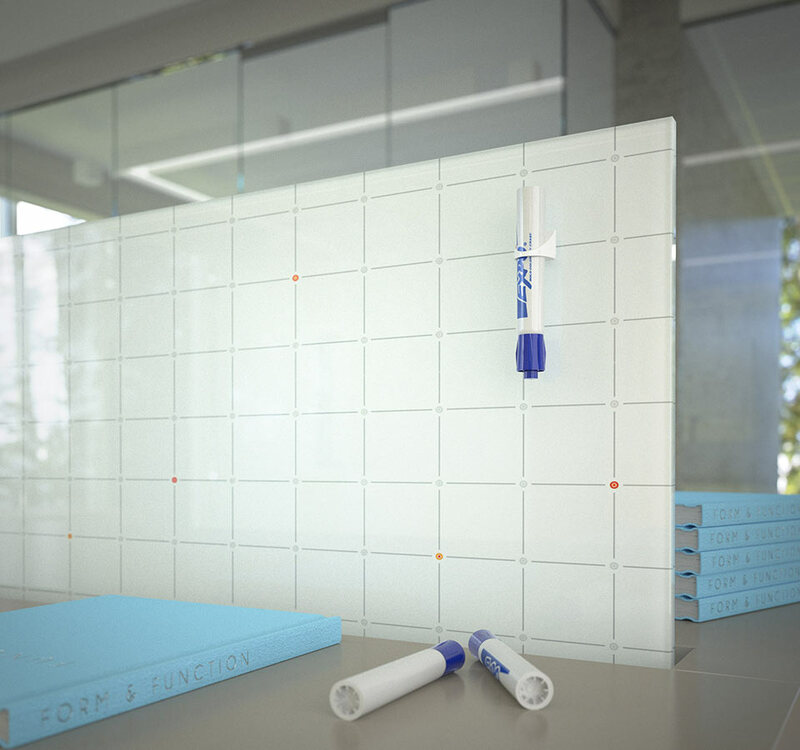 The modern version of the traditional whiteboard – minimalist, wall-mounted writing surfaces for the everyday brainstorming space. 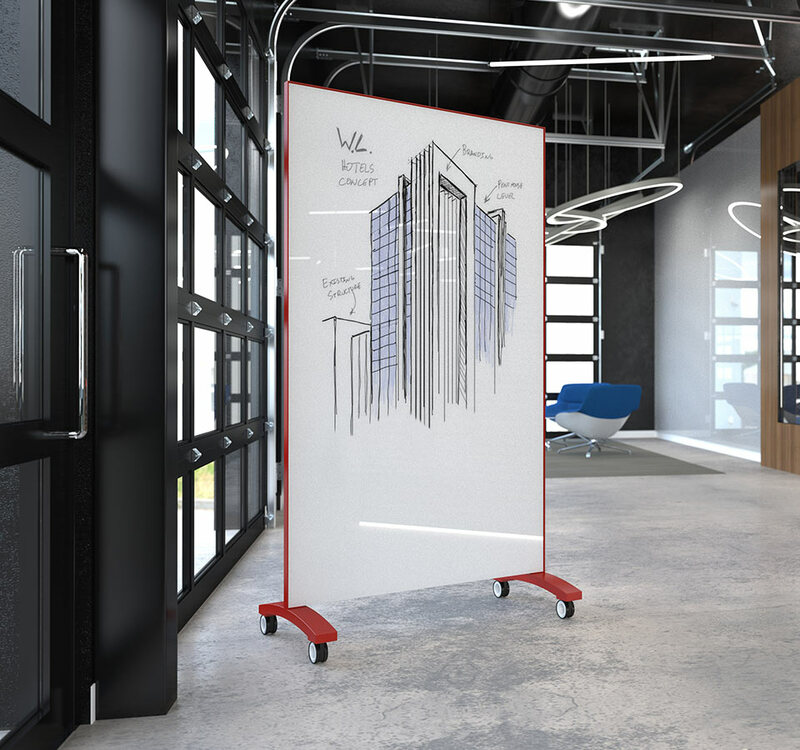 A glassboard on wheels – so you can bring collaboration with you wherever you go. This mobile writing surface adds a new level of visual communication to any conversation. 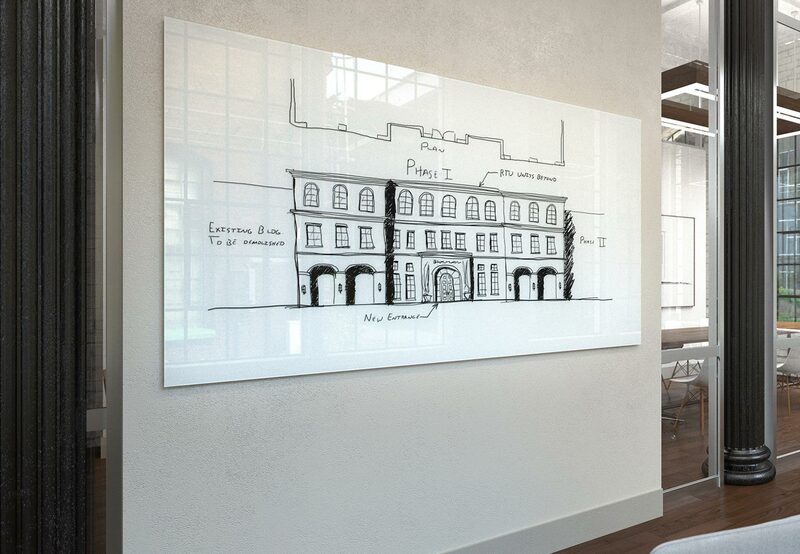 The first-ever, high definition glass projection surface – and it doubles as a writing surface. 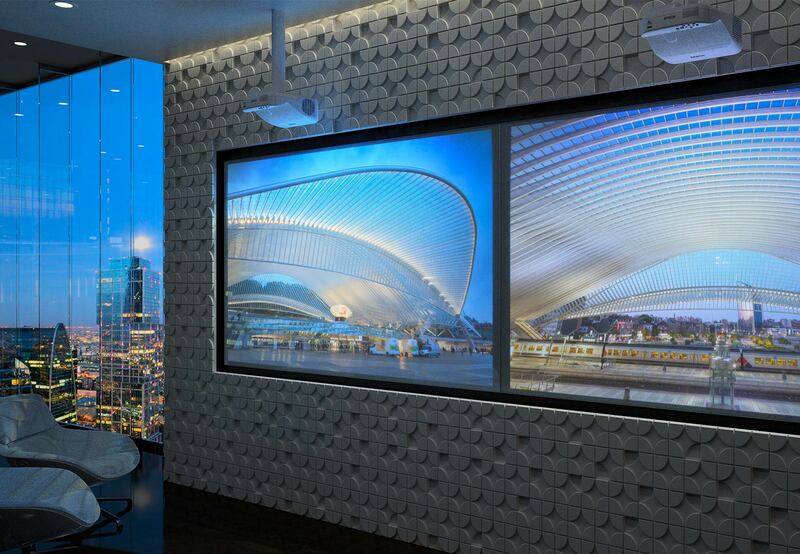 Bring your presentations to life on this beautifully versatile projection screen. 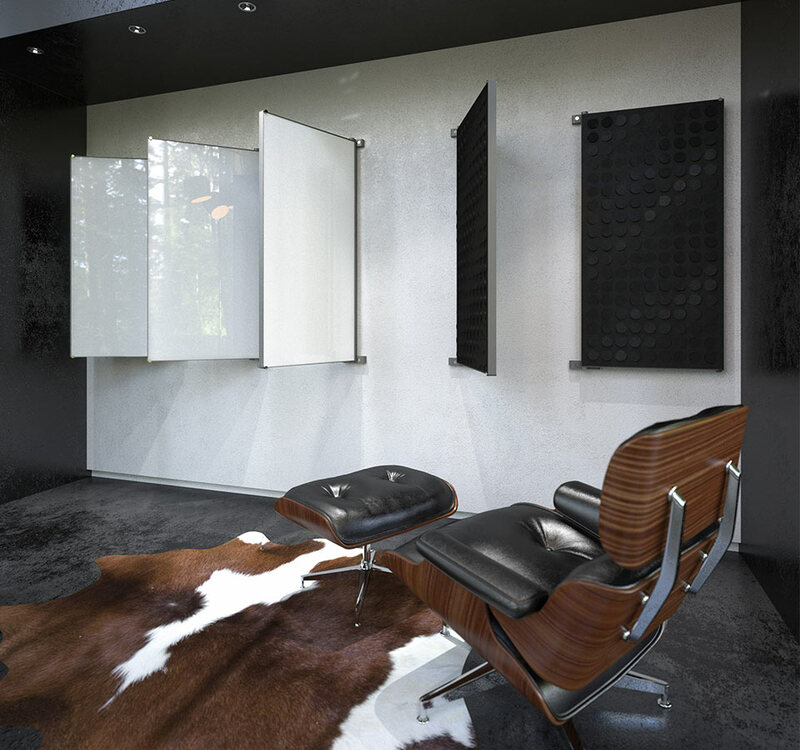 The first of its kind, Glide is a fully integrated glassboard system, designed to allow sliding glass panels to smoothly move across the face of wall-mounted glassboards. 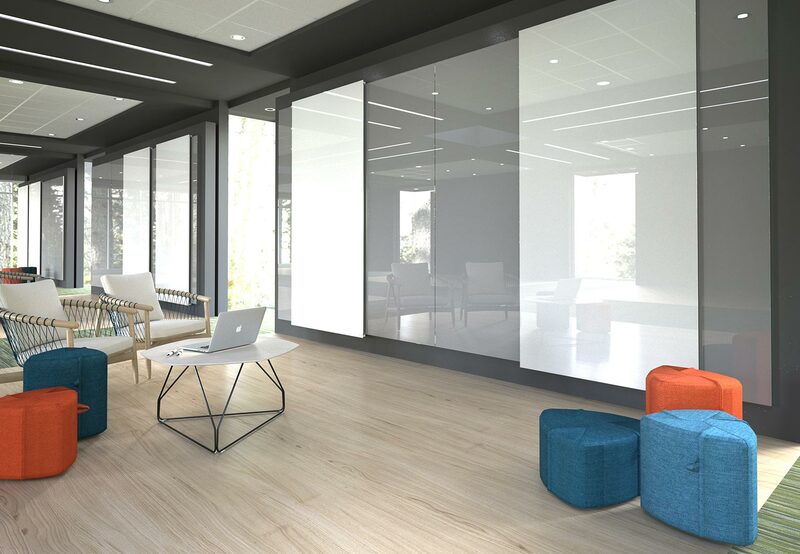 The Clarus design team engineered Adapt to be the most minimal, turnkey solution for creating motivational work environments with stunning writable surfaces. 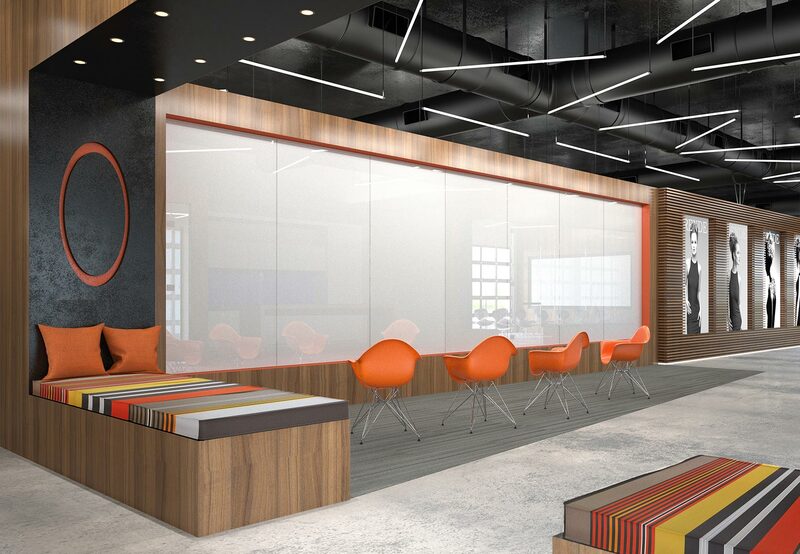 Whether you’re looking for a simple office upgrade of building out your workplace from the ground up – Adapt adds a new level of functionality, color, and texture to any space. Why limit a glassboard to one side? 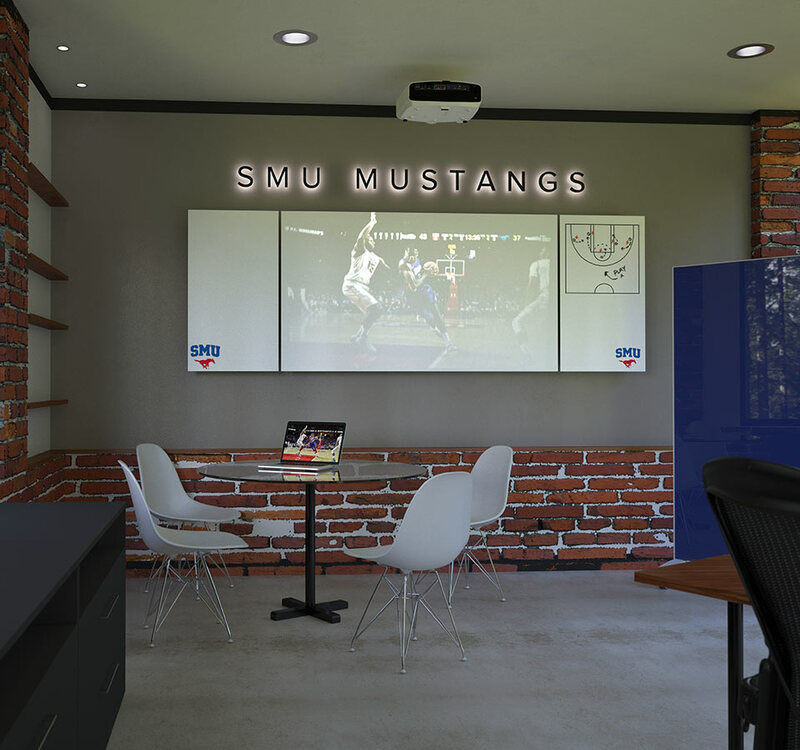 Re-think the way work spaces use writable surfaces with Flip by Clarus. 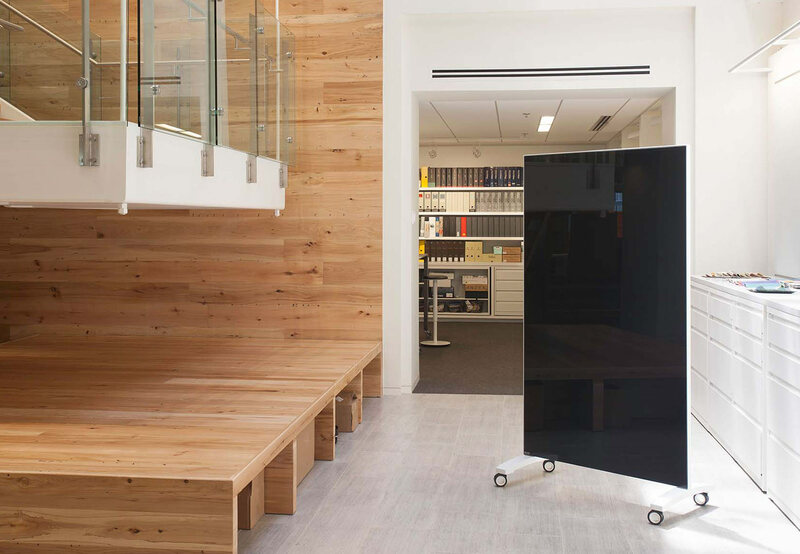 Flip allows both sides of a Clarus board to be utilized – add a glassboard to both sides of Flip to double the writing surface, or place premium acoustic panels on the backside of your glassboard for impressive sound absorption. 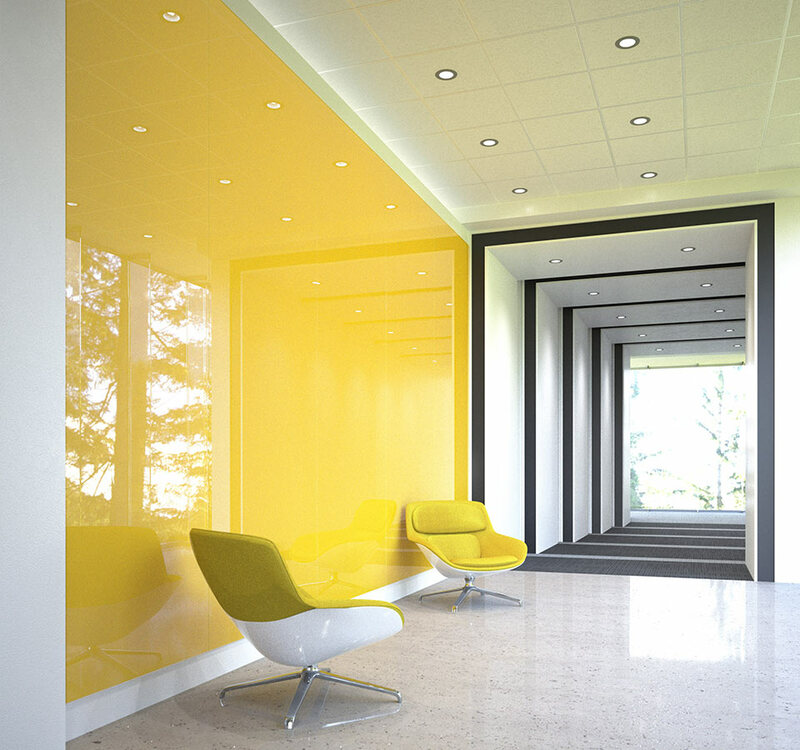 Wrap an office from floor to ceiling in beautiful Clarus glass and create the perfect brainstorming space. 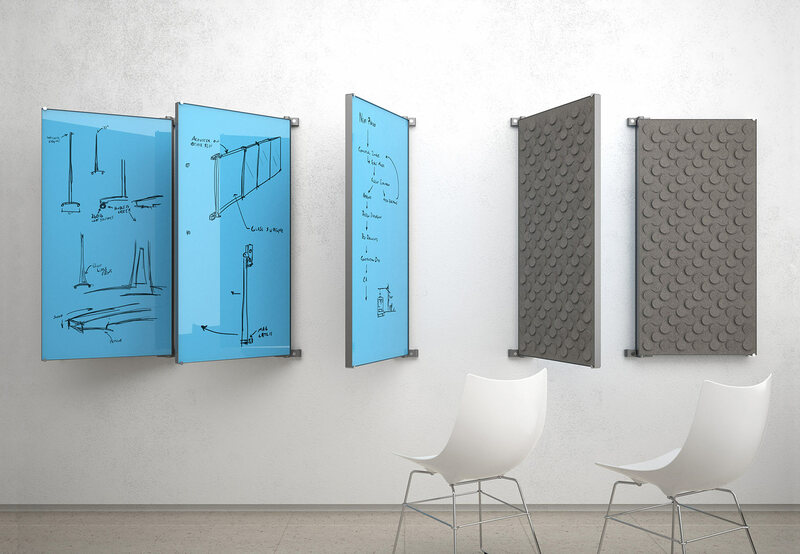 Wall2Wall allows you to selectively integrate writable surface into your space and turn your walls into the perfect creativity canvas. 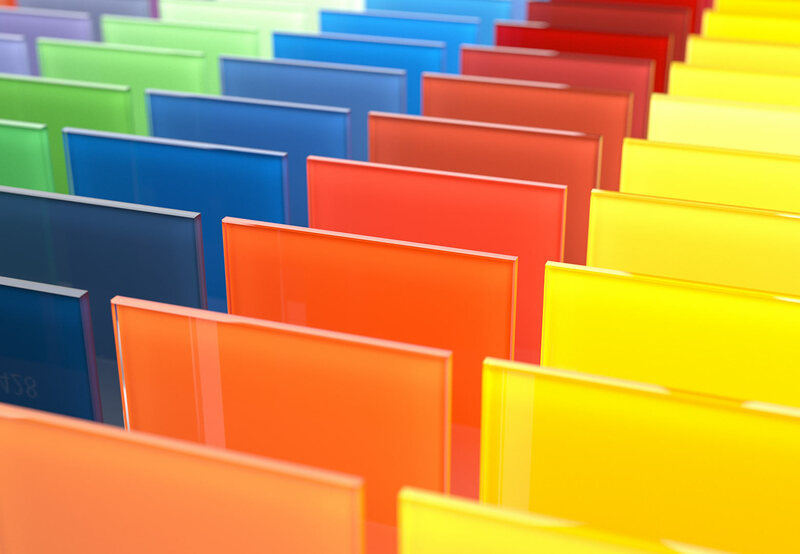 With 150+ standard colors that were perfectly curated to be the most vibrant hues on glass, plus proprietary color-matching technology, Clarus can create your glassboard in any color imaginable. 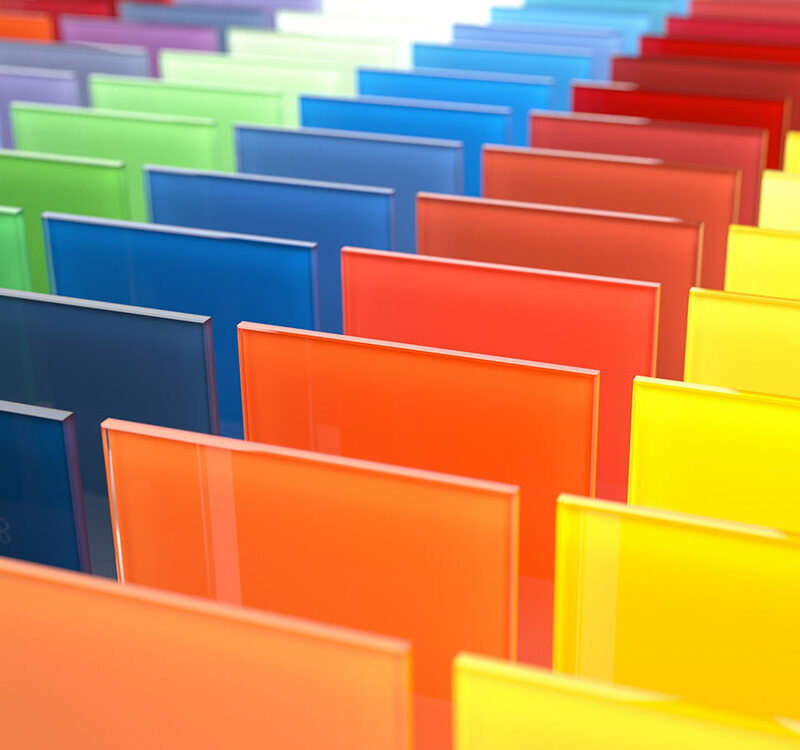 Our proprietary glass coating technology and paint formulas allow our team to custom match any color. 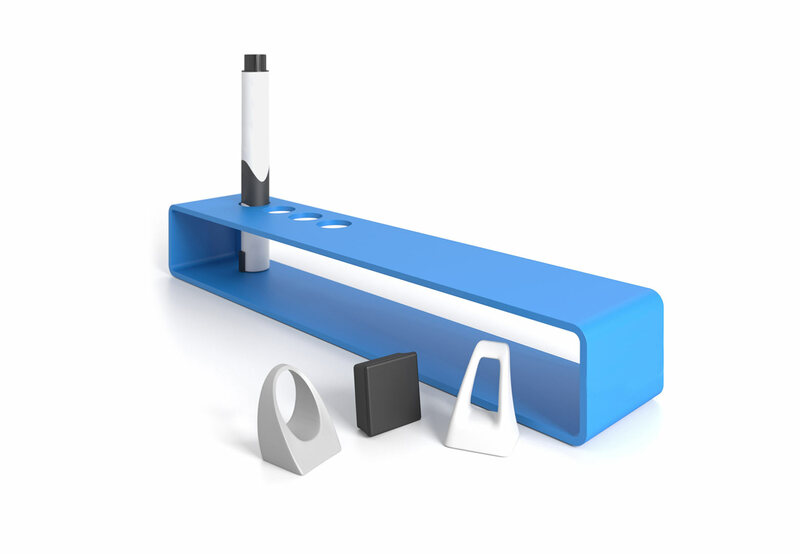 Clarus offers a carefully curated collection of markers and erasers for our glassboard users. From neon to primary erasable markers, to versatile magnets, premium erasers, and designer quality marker trays – we’ve got all the accessories for your glassboard. 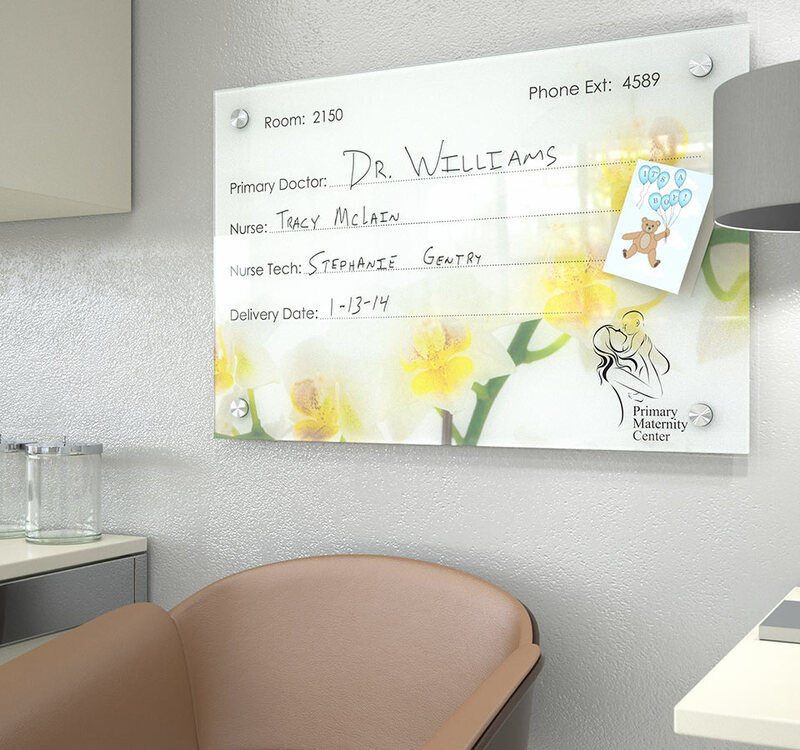 Our custom graphics printing technology allows you to customize your glassboard in any way you’d like. Clarus glass never stains or ghosts, always keeping sensitive patient information safe and secure from patient to patient. 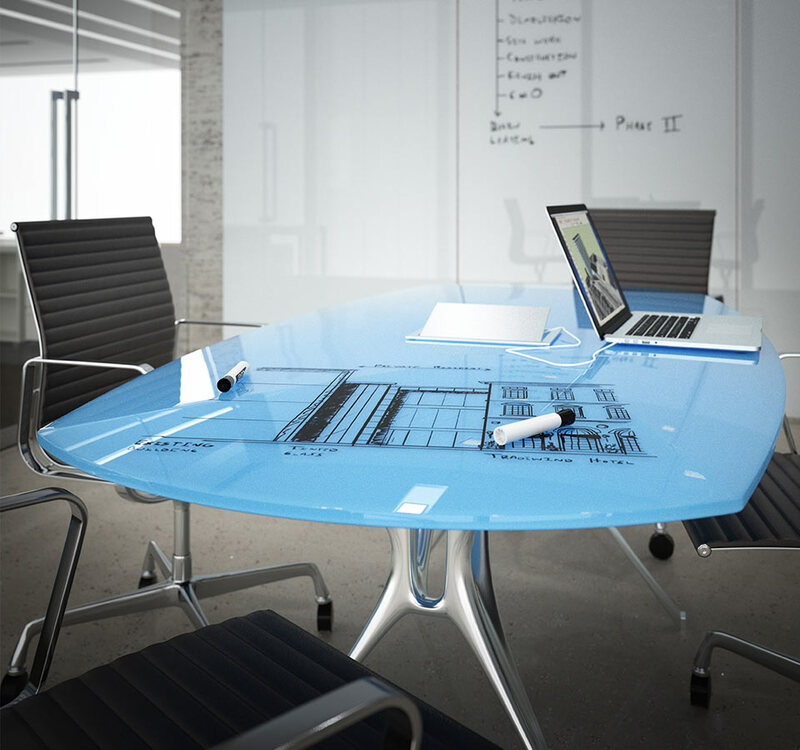 And with its non-porous surface, glassboards inhibit the growth of bacteria and create a clean, antibacterial surface. 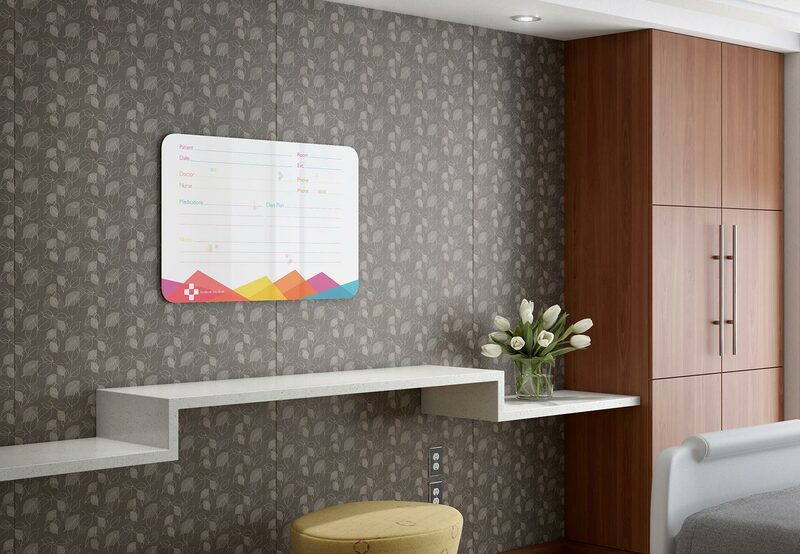 Choose from our library of designs, or create your own Healthboard graphics to print. 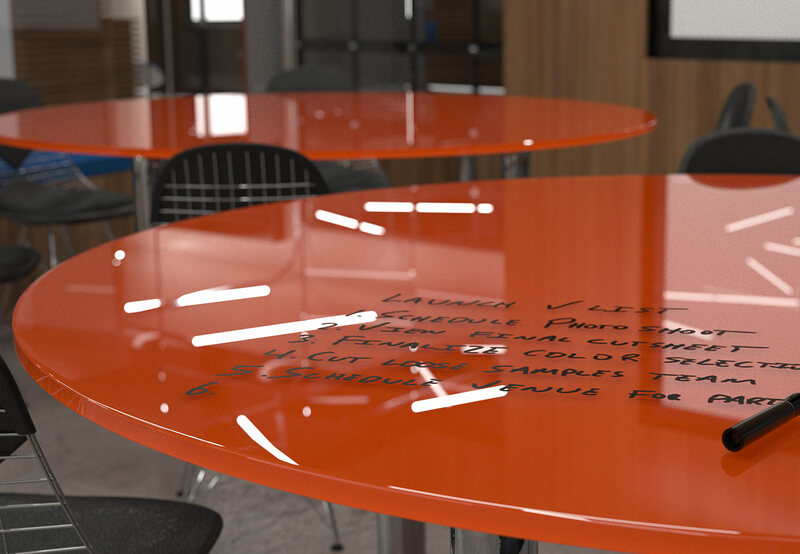 The versatility of a writing surface and the beauty of colorful Clarus glass – all in a tabletop. 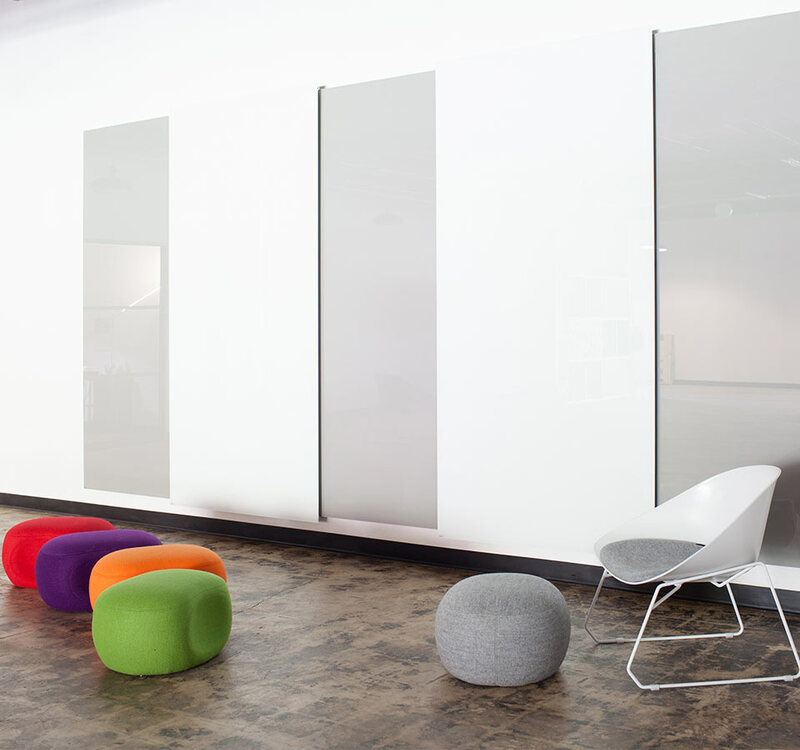 Tops bring a new level of collaboration and visual communication to any meeting. Communicate a concept, assign seats, or jot down a question to remember at the end of a presentation – the possibilities are endless with Tops writing surface as your table. 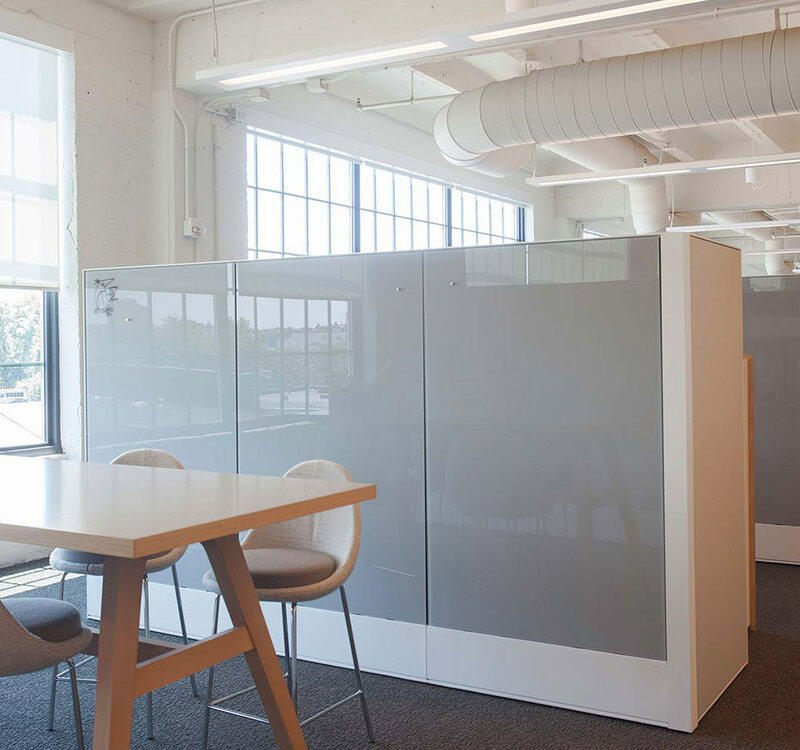 Open offices create the ultimate collaborative environment, but these elegant spaces can also bring unwelcome distractions and remove natural privacy. Divide offers the best of both – minimal, useful space division, with a naturally beautiful design to inspire teamwork. The perfect solution for open office collaboration. 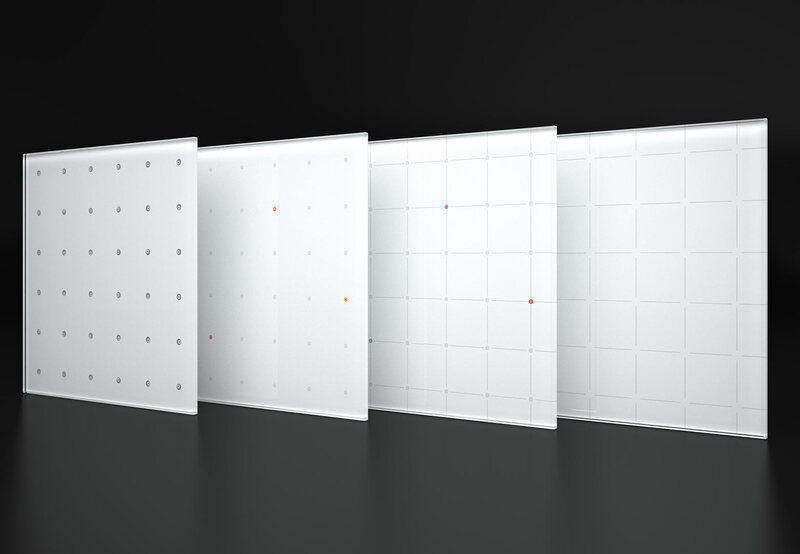 Thinking outside traditional glassboard design, Spots & Dots sets the platform for complete organization of information on your glassboard, while providing playful character in your design piece. 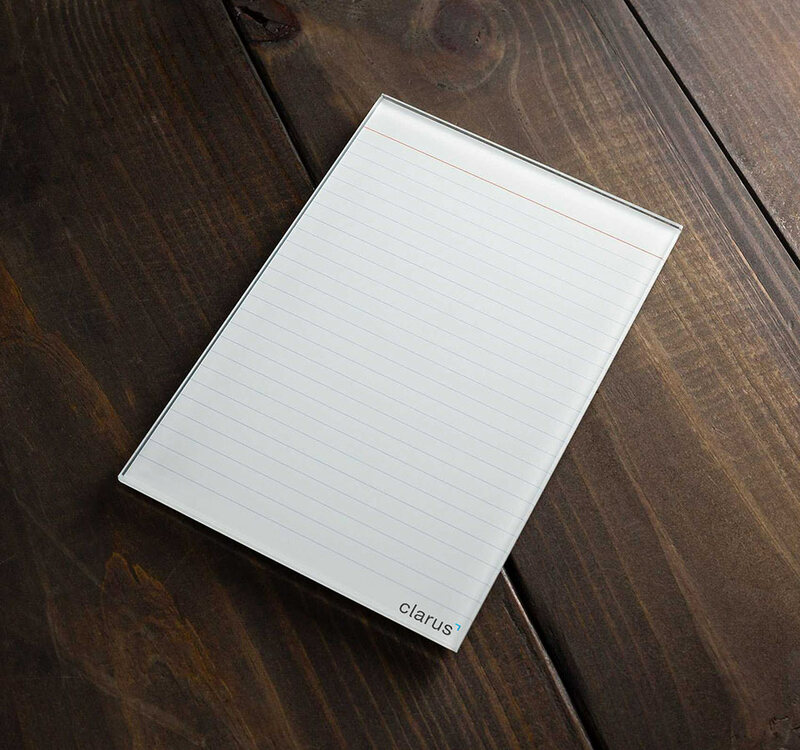 Shop Clarus’ premium collection of glassboard accessories and functional notepads. 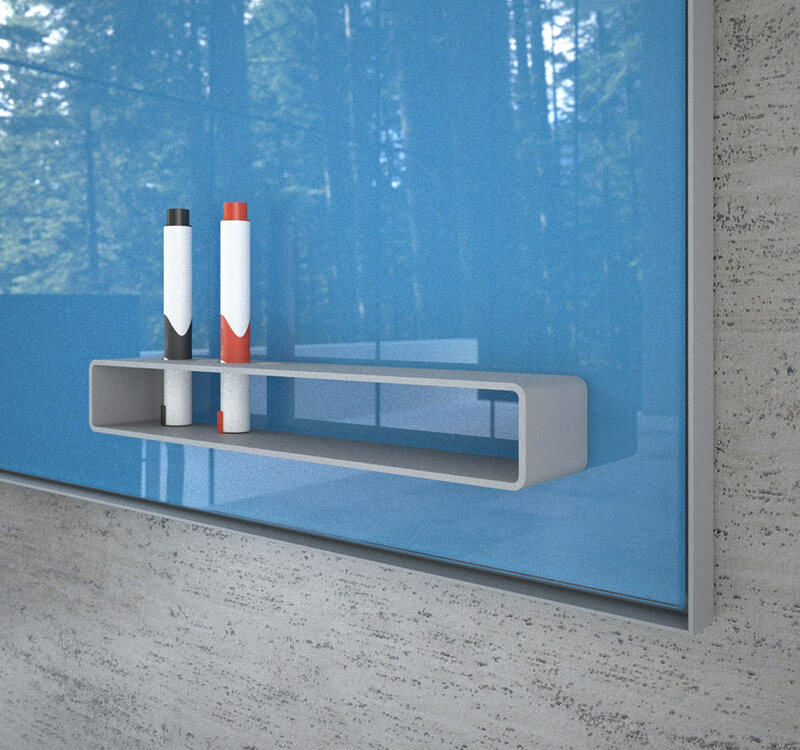 With the best accessories, your glassboard will make collaboration easy.